The Americana Foundation was established by Adolph H. and Ginger Meyer to support, through philanthropy, their varied personal interests. Their success in industry and their knowledge/appreciation for and collection of authentic early American furniture (High Style Seaport) and decorative arts have been the guiding focus for the programs of the foundation. Their additional dedication to education and agriculture includes preservation of their 160-acre historic farmstead in southeast Michigan, Tollgate Farm, which provides unique hands-on learning on a working farm in an urban setting. 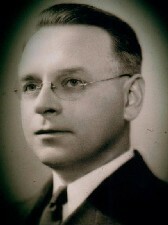 A Detroit area industrialist, Adolph Meyer believed in the American ideals of hard work and self-reliance. He treasured our nation’s founders and held a deep respect for early American farmers, craftsmen and artists. Together with his wife, Ginger, he devoted decades to the conservation and protection of 18th and early 19th century handcrafted, New England American furniture and decorative arts, farmland and forests, and the American way of life. The foundation they created has played an indispensible role in furthering this cause for over 50 years. Ginger was an avid gardener, award-winning floral arranger, an active contributor of time and funds to charities, a warm friend to many and, like Adolph, an appreciator of the outstanding craft and beauty of American furniture and related objects of art. Next to her family, her gardens and their outstanding furniture collection were her passions. The story of Adolph H. and Ginger Meyer, and of the Americana Foundation, is a testament to the singular character and enduring values of America. Their legacy lives on in many important, varied, and special ways – particularly through their family that they held dearly. They, in turn, continue to treasure and uphold Adolph and Ginger’s strength of character, core values and vision for the future and generations to come. 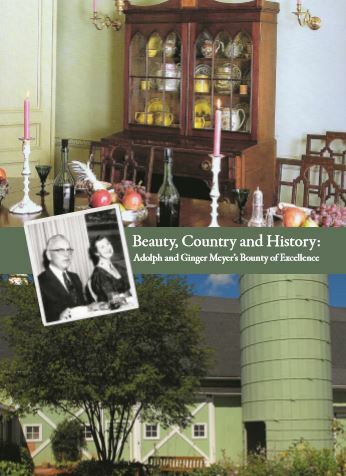 * Note: Some of the above is excerpted from the special book, “Beauty, Country and History: Adolph and Ginger Meyer’s Bounty of Excellence,” by David Dempsey (published by Encore Impressions, 2012), which includes additional background and photographs. Contact the Americana Foundation if you are interested in learning more.